That's what I did today, anyway—along with Fat Rice chef Abraham Conlon, Reader editor Mara Shalhoup, and Morning Show host Tony Sarabia; we were on WBEZ talking about the Reader's upcoming Key Ingredient Cook-Off. This Friday, 25 of the chefs who've participated in Key Ingredient will prepare a dish using one of the five assigned ingredients: durian, Malort, millet, celery, or dried shrimp (VIP tickets are sold out but regular tickets are still available). At least most of them will use one; Conlon, a recent addition to the lineup (he hadn't yet participated when the other chefs were invited), elected to use all five. And he brought his dish—an homage to Epoisses cheese that involved durian, Malort, and dried shrimp, served with millet bread and a celery and grape salad—as well as the makings for a Malort cocktail. Conlon's version of the stinky cheese (which, like durian, is banned on the subway in certain countries because of its odor) echoed the funkiness of Epoisses but was a little sweeter and creamier. 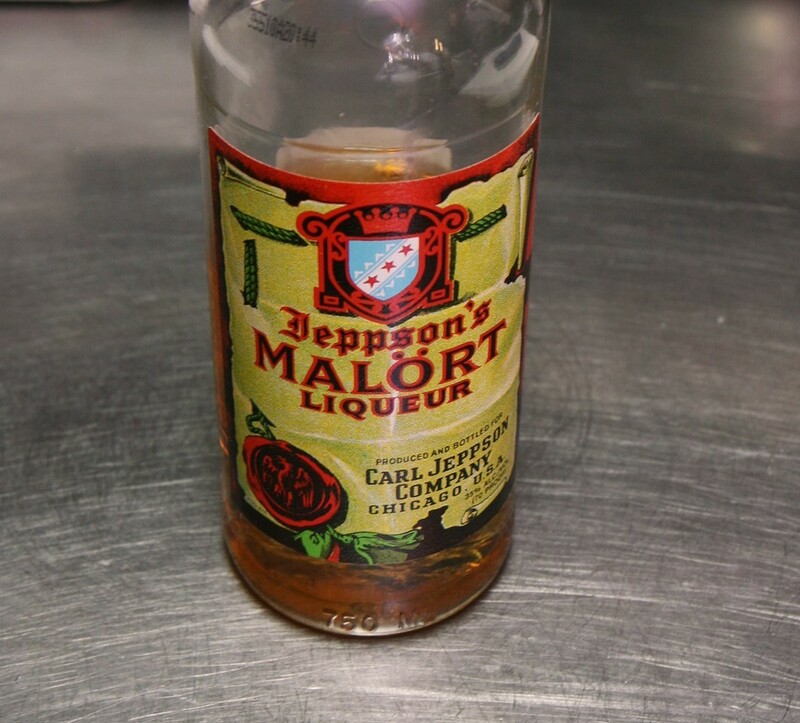 The cocktail was a twist on a gin and tonic; instead of tonic water he used plain sparkling water, and the Malort mimicked the quinine flavor. It tasted quite a bit like a gin and tonic. You can listen to the segment here—below is a list of what ingredients the other chefs are using, and a few of the dishes they'll be preparing (some of the other bites are described here). 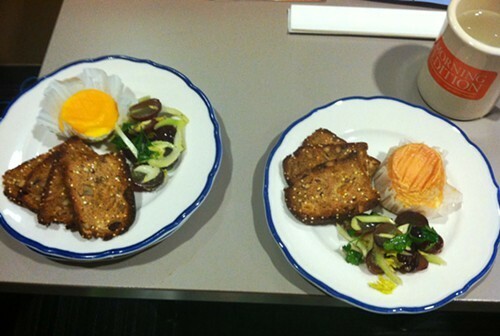 Left: Conlon's version of Epoisses. Right: the actual Epoisses. And the dishes? David Posey is making millet-crusted morels with cod milt and buttermilk (bringing in a second Key Ingredient challenge, cod milt, for extra credit). Barry Sorkin is sticking with the barbecue: he'll bring smoked leg of lamb with Malort-blueberry barbecue sauce and Malort-pickled crispy onions. Duncan Biddulph, who originally made custard, is sticking with that but changing up the ingredients: he'll make durian and miso custard with green papaya, lamb jerky, anchovy, and puffed rice. Evan Percoco will prepare salted dried shrimp brandade with chanterelles, pickled ramp, and corn porridge. And Katie Wyer appears to have claimed one of the more challenging recent ingredients—frog—in addition to her assigned celery. She's making celeriac/potato bread crostini, frog salad, and celery seed pickled quail egg with green curry relish. What's frog salad? I don't know either. The Key Ingredient Cook-Off is Friday, May 3, from 7 to 10 PM at the Bridgeport Art Center, 1200 W. 31st; tickets are $65, available here. Chawanmushi with dried-shrimp kettle corn, cocktail-hour Ants on a Log, and Malort Face: a sneak peek at a few of the entries in our upcoming cook-off.